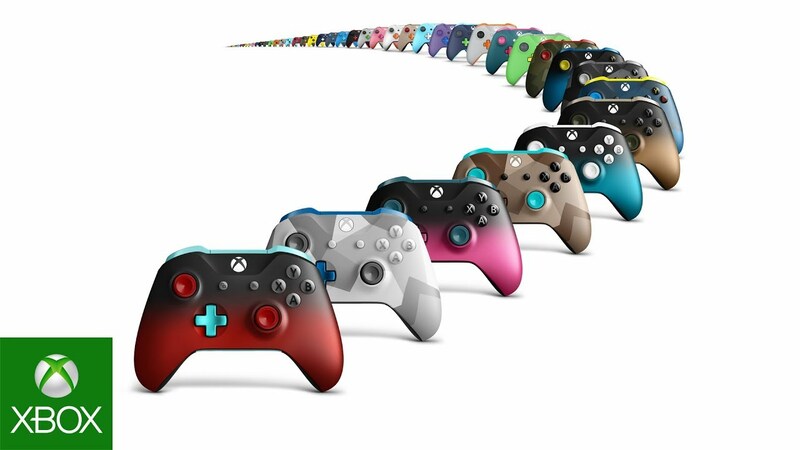 We’re always listening to our fans at Xbox and are committed to providing a range of controller options for gamers, as we know they value choice. You’ve already seen our modern camouflage-patterned, military-inspired series of controllers – Covert Forces, Armed Forces, and Midnight Forces. Today we are pleased to announce a new Special Edition shadow design series for Xbox One Wireless Controllers: Dusk Shadow and Copper Shadow. These new controllers feature a faded color gradient finish – blue-to-black for Dusk Shadow and copper-to-black for Copper Shadow – which is the first of its kind for Xbox One Wireless Controllers. They also come equipped with all the standard features of the Xbox One Wireless Controller, including Impulse Triggers, responsive thumbsticks, an enhanced D-pad, and a 3.5mm stereo headset jack. Both controllers are available for pre-order starting today for $69.99 USD ERP. You can find them on store shelves at participating retailers in the U.S., Canada, Mexico, Chile, Colombia and Argentina later this month and in other select regions worldwide in April. As always, availability and pricing vary by region. In the U.S., the Xbox One Special Edition Copper Shadow Wireless Controller will be exclusively available at Microsoft stores and GameStop, and the Xbox One Special Edition Dusk Shadow Wireless Controller will be exclusively available at Microsoft stores and, for a limited time, Best Buy. This week, one #FreeCodeFriday winner will get to pick either the Dusk Shadow or Copper Shadow Xbox One Special Edition Wireless Controllers. Details can be found by following me on Twitter.